So whilst the Energy Industry may be looking to save costs, in today's world of plummeting oil prices the value of a TMC has never been more important. 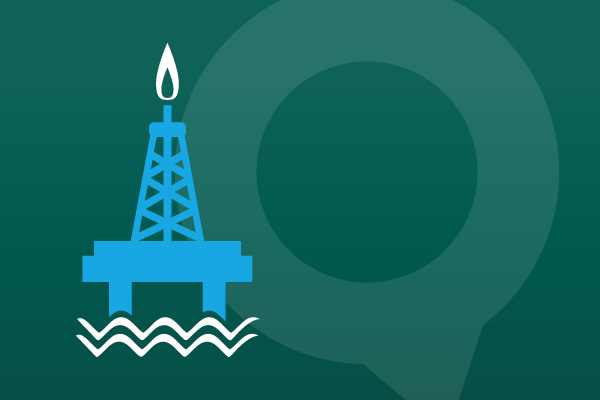 With the tumbling price of crude, many oil and gas firms will need to transform the way they operate in order to grasp future opportunities in the sector. Companies that had been riding the crest of $100-plus a barrel oil prices are facing challenging times ahead . What looked like a good investment at $100-a-barrel doesn't look quite so profitable at $60. No-one really knows, for sure, where the price is going. In the meantime, companies like BP are forced make contingency plans ahead of what could become an even tougher climate. Across the sector - from the major players like BP, Exxon and Shell, services giants such as Halliburton and Transocean right down to minnow explorers in the depths of Africa - the questions are the same; where can savings be made? How can  the organisation become more efficient and more lean? For most of these organisation travel is the third largest expenditure. So whilst Travel Buyers may be looking to save costs in this area, in today's world of plummeting oil prices the value of your TMC has never been more important. Lets look at some areas where your TMC can save you time and money. However a word of caution, whilst reducing costs is the key focus, safety and security should always remain the main priority. Scrutinise your travel programme. Review air fares on high frequency routes, is the flag carrier airline / first class / business class? Are the nice lounges and the bonus miles really worth the extra costs? It is essential that travel buyers manage any expected change in traveller behaviour through effective communication. The TMC and client must work in tandem to achieve this. Ask yourself, has your travel policy evolved or was it created via a check box exercise? Once created travel policies are filed in a drawer, on a server or the extranet. The key question is, when did you last evaluate it? A travel policy can be a powerful tool when evaluated regularly with your TMC and enforced through your booking portals. Arrange a meeting with your TMC, review your travel needs and discuss potential for finding savings. Some questions to ask your TMC; Should you change suppliers or fare types? Are you eligible to use marine and offshore fares, more importantly does your agent have access to these fare types? Should you accept restrictive tickets, or look at an alternative airline agreements? Was your airline of choice decided when cude was £100+ a barrel? Is your airline of necessity today? Does the account manager from your TMC actually travel themselves? When you consider the number of of travel people who don’t actually travel, it is quite frightening. A well travelled account manager will know where savings can be made but more importantly they also know that effective travel management doesn’t come down to just the price tag. Ask yourself, does your TMC team travel regularly? If not, can you be confident their cost saving advice will be effective? Ponder this, are executive rooms in hotels part of your travel policy? Sometimes as little as £20 gets an executive room over a standard room. The £20 spend gets you free wifi, breakfast, drinks and canapés in the evening. All items that are going to end up on an expense claim, but at a far higher cost. We hope you find the above tips useful and informative.